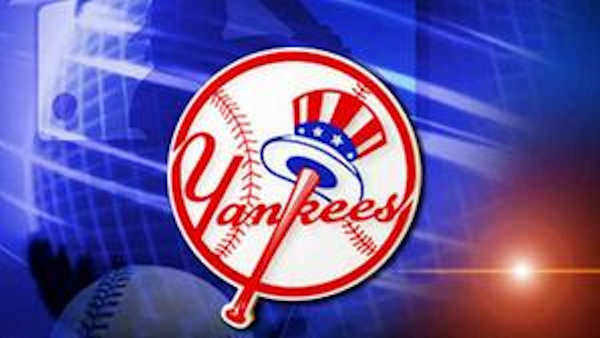 NEW YORK (WABC) -- This time last year, the Yankees were on the outside looking in, watching October baseball from home. Several players from the Opening Day roster were making a push for a World Series ring with their new squads. Those players represented a lost season and an uncertain future for a club that seemed to be in rebuilding mode. That rebuild took a couple of months. The days of low expectations are long gone. From the big bats in the middle of the lineup to the shutdown closer coming in for the 9th inning, these are the Yankees that fans are used to seeing. Now, the goal shifts back to what this franchise is used to, a World Series trophy. That goal, however, hinges on one game. The last time the Pinstripes played in this winner-take-all Wild Card game was 2015 when their postseason run was cut short by the Houston Astros. "I saw that runs were tough to come by that night," said Joe Girardi ahead of Tuesday's match-up against the Twins. "(But) we still have a great opportunity here. There's ten teams in our league that would love to be in this position." The Yankees have dominated the Twins over the years. They hold a record of 90-33 against Minnesota dating back to 2002. That's the best record by one team against a single opponent during that stretch. However, history takes a back seat to momentum in do-or-die games, which is not necessarily a bad thing. "I think we've played some of our best baseball in the month of September... There's two teams are going to fight like heck and one of us is not going to move on, but I really like the way we've been playing," Girardi said. New York will rely on the players that got them to this point. "Baby Bombers" like Aaron Judge and Gary Sanchez had career years at the plate while Luis Severino established himself as one of the best pitchers in baseball. If the Yankees hope to move on in these playoffs, they'll need big games from their big stars Tuesday night. "I put the uniform on to win the World Series, that's my goal," Girardi said.